It's Francis Libiran's work of art. The Miss Intercontinental 2017 coronation night may still be on January 25, but Philippines' representative Katarina Rodriguez is already slaying. Yesterday, January 19, Katarina posted on her Instagram account a photo of her wearing her national costume. The intricate Filipiniana was designed by Francis Libiran. 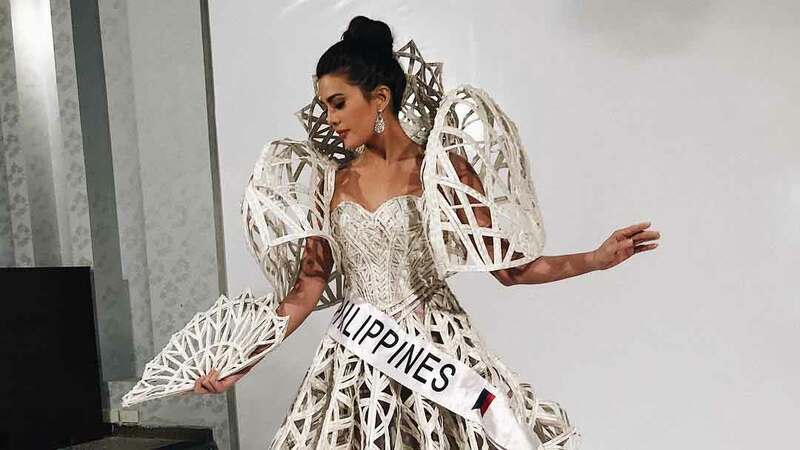 Katarina captioned the photo: "National costume shooting, and of course @francislibiran has awed us all once more with this gorgeous Filipiniana. His national costume designs are always my favorite. Thank you for this, Francis." Francis also designed the gown that Miss World 2013 Megan Young wore during her coronation in Bali, Indonesia. Today, January 20, Katarina released on Instagram a video of her for the pageant. The clip was shot at Sunrise Resorts and Cruises in Egypt, where the coronation night will be.